Betsson – Gear Up Live Casino Tournament! 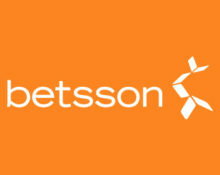 Play for cash and Betsson hoodies! Win up to €1,500 in cash and exclusive Betsson hoodies! Here’s a great way to win some great extra cash this week! Play anywhere in Live Casino at Betsson and get extra points to race to the top of the leader board. The TOP10 players will receive cash prizes with a first prize of €1,500 as well as exclusive Betsson hoodies, useful for the coming Autumn season. Simply wager on any Live table and get 10 points towards the leader board for every €10 wagered. Exclusive for players from Finland, Germany, Iceland, Netherlands, Norway, Poland, Sweden and Switzerland. Take part in a week-long Live Casino tournament at Betsson to win a share of the €3,250 cash prize pool and exclusive Betsson hoodies. Earning leader board points: Collect 10 point for every €10 wagered on any LIVE Casino game until 23:59 CET on 24th September 2017. Keep an eye on the leader board which will be updated daily at 17:00 CET. Risk-free bets on any games (betting in proportions on different outcomes in the same hand to create “action” without risk) will not count as a qualifying game round. Example of risk-free bets include betting on red and black simultaneously on Roulette and player on Baccarat.